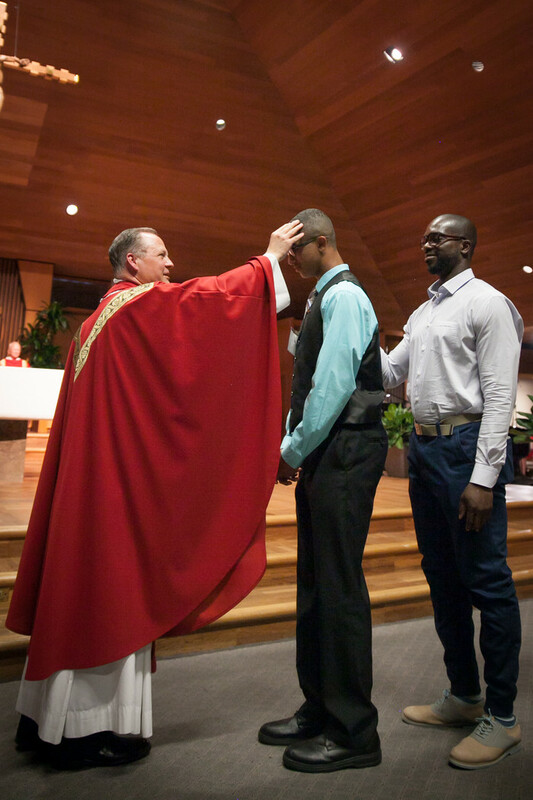 The first of seven sacraments, Baptism brings us to life in Christ. Baptism is also the first of three Sacraments of Initiation (Baptism, Holy Communion, and Confirmation). Once a person is baptised, they are a member of the church. 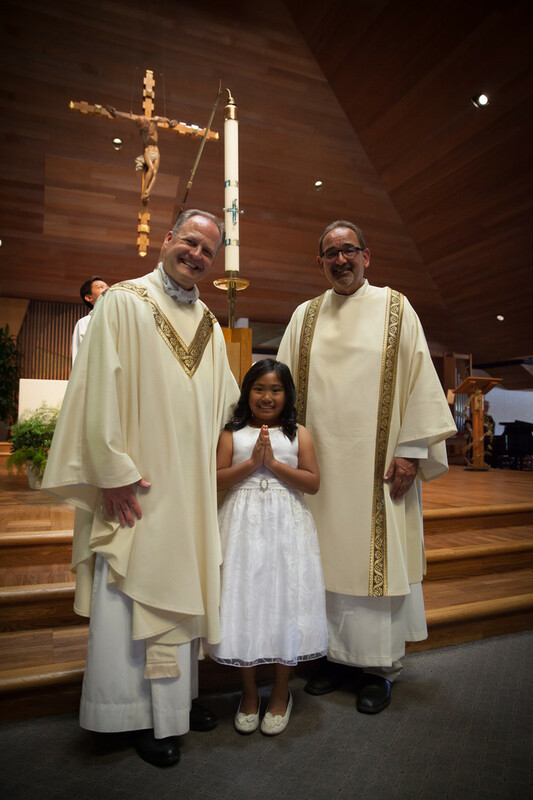 Baptism as an infant or child under seven can be initiated by emailing Fr. Peter McGuine to make an appointment. For those seven and older can complete the sacrament of baptism through OLG's Faith Formation (RCIA) classes. Truly, truly, I say to you, unless you eat the flesh of the Son of man and drink his blood, you have no life in you; he who eats my flesh and drinks my blood has eternal life, and I will raise him up at the last day. For my flesh is real food, and my blood is real drink. He who eats my flesh and drinks my blood abides in me, and I in him. As the living Father sent me, and I live because of the Father, so he who eats me will live because of me. This is the bread which came down from heaven, not such as the fathers ate and died; he who eats this bread will live forever.